Maricela Brea is a collaborative leader with extensive experience in the nonprofit sector that includes 15+ years in management and 7 years in higher education. 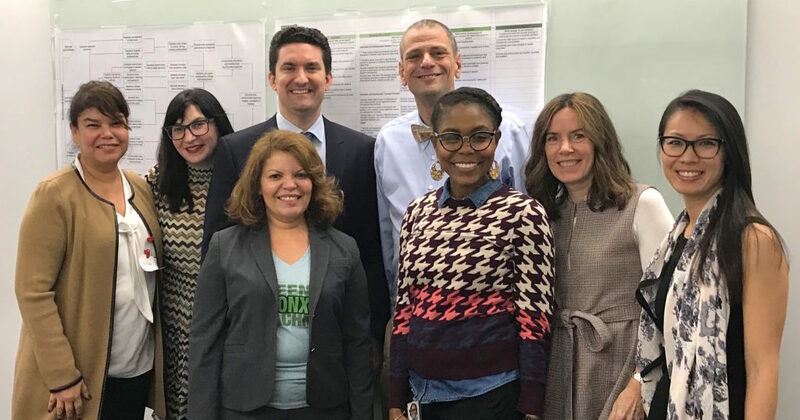 Maricela’s passion is helping and empowering people, especially youth and young adults, has led to a proven track record of continuously improving and successfully implementing quality programs and services. In 2016, she received the Mo Fong Rigley Award from ACCES-VR for her demonstrated insight and creativity in developing a program model for young people with disabilities that would be implemented citywide and eventually state wide. She has extensive experience working with youth transitioning into adulthood, as well as transitioning out of systems, court-involved, disengaged from school and work, and “at-risk” from a strength/asset based approach leading to positive outcomes. She holds a Professional Diploma in Counseling and Personnel Services and a Master of Science in Education for Fordham University, Graduate School of Education. Matthew DeCicco is a Fixed Income Trader and Head of US Interest Rates Derivatives trading at BlackRock living and working in New York City. 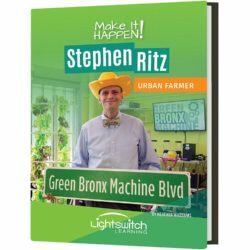 Matt has long had a passion for healthy living and currently serves on the Board of Directors for Green Bronx Machine, helping transform underdeveloped neighborhoods into healthy green communities. Olivier Delille works for Macquarie Bank providing hedging solutions for corporate clients and financial sponsors. Prior to Macquarie, Olivier worked for Santander Bank’s corporate sales team facilitating the structuring and hedging of cross-border acquisitions into Latin America. Olivier Delille started his career working for the Inter-American Development Bank (IADB) in Washington, DC, focusing on expanding access to property in Mexico and Peru. While at IADB, Olivier led the issuance of IADB’s first poverty reduction bond sold to Japanese impact driven retail investors. 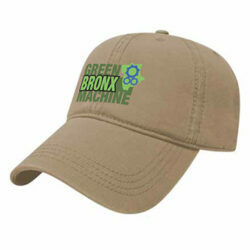 David is an educator and environmental activist living and working in New York City. For more than 20 years, David has been teaching young people to be leaders. Since 1991, David has been an active environmentalist. He is currently the Sustainability Coordinator at The Calhoun School where he teaches Environmental Justice. Susan is a 15+ year digital marketing executive, with a passion for building and scaling businesses. She has spent the last 10 years at Google leading a variety of strategy, operations and product commercialization teams for YouTube and Google’s display advertising business. A strong believer in the healing power of a healthy diet, Susan holds a certification in health coaching from the Institute for Integrative Nutrition (IIN), as well as an MBA from the University of Chicago and a BA from Barnard College / Columbia University. Lauren Jia is currently a Managing Director at Macquarie Bank. 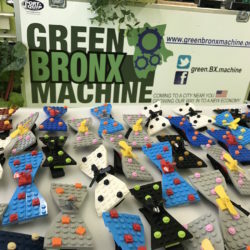 Having worked at several bulge bracket investment banks, she brings 10 years of financial expertise to Green Bronx Machine. Lauren is passionate about equal access to education and youth development. She currently also serves on the Corporate Leadership Council of the Young Women Leadership Network, and actively mentors with Big Brother Big Sister. She received both her MA and BA degrees in International Economics from Johns Hopkins University. Eartha S. Petersen-Farngalo is a business leader and passionate ‘doer.’ Her professional experiences include Sales, Corporate Communications, and Training & Development roles at AT&T and at Google (and an internship with President Clinton!). Today, she develops global sales enablement strategies at Google and is the founder of The Career Fairy, a career coaching firm for millennials. She holds a B.A. in Speech Communication from Morgan State University. Committed to being an active part of her community, Eartha has served a Big Sister in Big Brothers, Big Sisters and as an active member of the Junior League of Atlanta – where she spent several years after college – and now of Brooklyn. Eartha was born and raised on St. Croix in the U.S. Virgin Islands, by a local and New Yorker (Bronx native! ), who ventured down on vacation, fell in love, and never left! She recently moved back east from the Silicon Valley (California), settling in Brooklyn with her husband, Zuri. Outside of work you can find her on her yoga mat, with a good book, whipping up something delicious in the kitchen, or trotting the globe (she’s been to almost 20 countries). She brings to the GBM Board her razor-sharp execution skills and expertise building communication strategies. 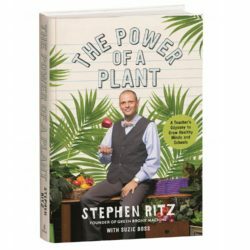 Perhaps most importantly, she brings her passion for good food, focus on healthful living, and fervor for empowering youth (and communities) through education. Founder of Ewe Can Knit. Scarsdale Middle School PTA: Vice Chair of the School Board Nominating Committee. Complete bio pending. 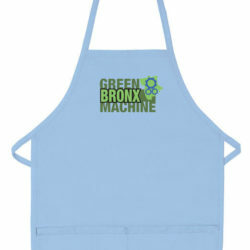 Rachel is a longtime supporter of Green Bronx Machine and other initiatives to promote sustainable food systems and help urban communities thrive. She is currently a Director of Corporate Responsibility at Sodexo where she is focused on scaling innovation and promoting brand leadership in sustainability, wellness, and inclusion. In this role she has improved quality of life for schools, businesses, hospitals, and cultural destinations. She created and leads Sodexo’s five-year commitment to the Partnership for a Healthier America, positioning Sodexo as PHA’s first Partner of the Year in 2016. She also serves as an advisor to the Better Buying Lab, a multi-stakeholder initiative to drive more sustainable and healthier diets. In previous roles, she managed Summit Fund grants to grassroots organizations restoring the Anacostia River and surrounding neighborhoods, supported an innovative partnership to promote both sustainable agriculture and food security with the Capital Area Community Foodbank, and promoted inner-city economic development in Boston with the Initiative for a Competitive Inner City. She lives with her husband and two children in an award-winning green building in the Washington, DC metro area where she enjoys local food adventures and nature walks in Rock Creek National Park. Global Vice President of Branding and Communications at The Juice Plus+ Company. Complete bio pending.